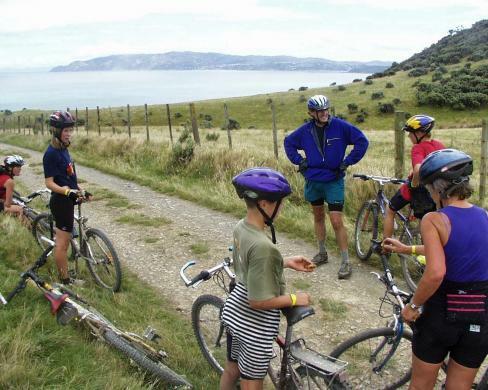 Greater Wellington Regional Council is working on making Baring Head a scenic reserve. This is great news, since Baring Head could potentially be the eastern gateway to the Great Harbour Way/ Te Aranui o Pōneke. If access along the shore between Baring Head and Pencarrow can be negotiated, you could start or finish the GHW from the Wainuiomata Road, rather than having to do an out and back trip. Baring Head is a fascinating area in itself, for its historic interest, the natural environment (air samples are collected here because they’re the least likely to be polluted in the area! ), and views out across Cook Strait. GWRC are calling for feedback on how Baring Head should be used – take the opportunity to tell them that you support it becoming a Scenic Reserve, and that you’d like to see access from Baring Head to Pencarrow Head as part of the Great Harbour Way.